Of all the topics I write about, speak about and train on self-confidence is consistently at the top of the list for parents, coaches and players...and for good reason. Without a high and consistent level of self-confidence your athlete will stand little chance of becoming a consistent peak performer on the field. Self-confidence is the mental trigger mechanism that drives performance. Unfortunately for a young athlete self-confidence can be as fleeting as sand through their fingers, and a frustrating mystery for both parents and coaches. It's a given that all athletes want to perform their best every time they step on the field. However, optimal performance is a result of both physical and mental skills mastery; one without the other will create a disconnect that will show up in key game situations when an athlete's success or failure will hinge on their "crunch time" performance. Fortunately there is a blueprint to gaining peak self confidence, the ingredients of which are found in the complex set of variables that either serve to propel and empower confidence or sabotage and destroy confidence. The path this blueprint lays out is easy to understand, yet hard to master. 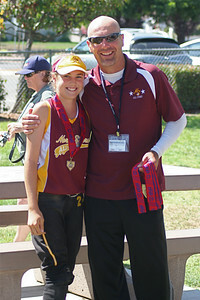 Peak self-confidence comes with time and conscious effort by both player and parent. It requires being honest about the current state of the athlete's level of self-confidence and why it is where it is. 1. Acknowledge their current state of confidence, fear and anxiety. In other words for parent and athlete don't pretend the problem isn't there. With self-confidence issues your athlete can't just tough it out and work through it. 2. Recognize that fear is the base for most self-confidence issues for athletes. 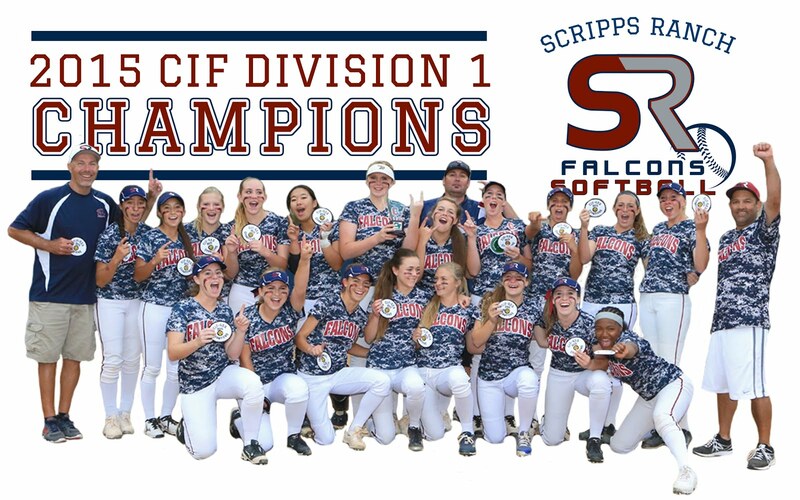 Fear of failure; fear of disappointing parents, teammates, coaches and self; fear of being embarrassed (particularly for girls); fear of the unknown. 3. The kids I train like this acronym: F.E.A.R. = False Evidence Appearing Real. Most young athlete engage in distorted thinking predicated on false evidence. Often they belief they cannot do something because their friend can't or simply because they haven't done it before. As a parent it is your job to challenge their beliefs about themselves and their game to get their thinking right. This alone will greatly diminish their fear. 4. Have a short memory. Like professionals your athlete needs to accept that mistakes and poor execution are part of the game; that these mistakes offer great opportunities to learn and get better in their sport. No athlete who ever played any game has been perfect 100% of the time. Having a short memory insures your athlete can get their focus back to the present moment, where peak performance lives. 5. Recognize that mastery of their sport is a journey not a destination. In other words your athlete won't just wake up one day and be a master of their sport; it takes time. Mastery is a process that looks like taking a step backwards some days. Patience is a requirement for building self-confidence. 6. Lighten the burden of expectations. 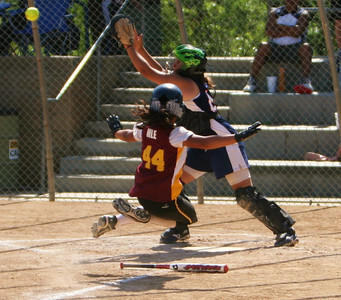 Our kids today are under unprecedented pressure to excel in both school and on the athletic field. In addition to external expectations from parents, coaches and peers, your athlete may also have exceptionally high self-expectations for their performance. I see it every weekend. Setting the personal bar at a high level is admirable, but too high may be unrealistic and damaging to self-confidence when game results can rarely match expectations. In short, excessive expectations are a performance and confidence killer. 6. Visualize Success. In my Game Changer Program I offer a detailed audio lesson on visualization or mental imagery. Your athlete can literally see their success in advance by utilizing these visualization techniques. By using all of their senses they can trick their subconscious mind into believing the performance they see in their head is real, so that on game day the mind and body perform anxiety free and with great precision. This mental "trick," used by elite athletes worldwide, can skyrocket self-confidence. 7. Have a positive mindset. With distorted thinking comes doubt. If your athlete's thoughts are negative they are limiting success. Negative, or "can't do" thinking will never grow confidence. Have your athlete develop positive trigger statements that can be used on game day as well as overall positive "can do" self talk during the course of the day. Re-boot the mental hard drive with a positive mindset. 8. Remember previous success. Often times a young athlete gets negative and engages in catastrophe thinking, when they expect the worst. By remembering a prior success they have had in their sport the chain of negative thinking that leads to a drop in confidence can be broken. Expecting success instead of failure is the goal and it starts with replacing the failure thinking with success thinking...including a belief that I can execute the task successfully because I have executed it successfully before. 9. Unconditional parental support. 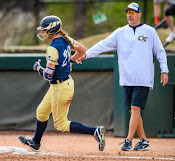 A fundamental foundation for any athlete's sustained self-confidence is their parents' unconditional support of them on and off the athletic field. Parents, while well meaning, can be the worst offenders to their own child's self-confidence. 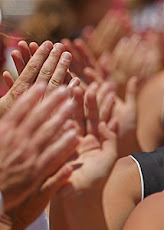 Being critical or judgmental of game performances is counter productive. All kids, by definition, want to please their parents and desperately want their acceptance. Understand that your athlete will never be perfect, so celebrate their effort more than their results and you will do wonders to build your athlete's level of confidence. Remember...it's only a game! 10. Build confidence by design. The goal of this 10 point blueprint is to change the way your athlete thinks; to start the process of building rock solid self-confidence one brick at a time. The starting place is always addressing the negative and fearful thoughts that bombard their head on game day, and particularly at the key moments of the game. 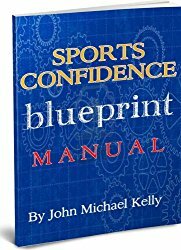 Have a conversation with your athlete about all of these blueprint points as well as have them write down their own thoughts and feelings in their sports journal as a process of elevating their thoughts about themselves and their game. Lack of self-confidence can be a very dangerous thing for your athlete. So many kids define themselves as individuals based on their athletic performance, particularly as adolescents. Low self-confidence can lead to low self-esteem and low self-image which can cascade into poor academic performance and poor social choices. Work with your athlete to build their self-confidence slowly but surely. The long term benefits will be well worth the time and effort. 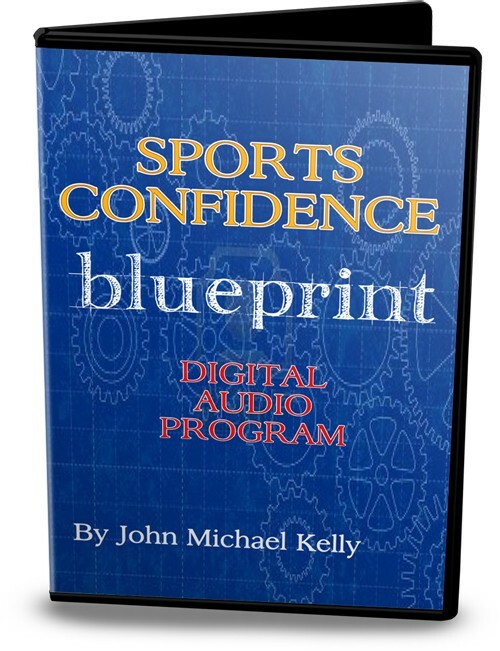 Check out my new Sports Confidence Blueprint program, designed to skyrocket your athlete's game day confidence with dozens of proven strategies! Be sure to follow me on Twitter or Facebook for my daily "Sports Mental Minute." 12u to 18u and each week I'm always curious to see the response I will get from each team on the various topics I cover. This week my overall topic was on Having a Plan. In other words preparing for success. I talked about having a "pre-game" plan, an "in-game" plan and a "post-game" plan. Far and away the subject I received the most reaction from the over 100 girls I train is what I term "The 60 Minute Rule." Now, in advance, I warn you to dismiss or ignore this rule at your and your athlete's own risk. Breaking this rule can drive a wedge between you and your athlete as well as negatively affect her game performance. Change her game forever with just one click! So, without further delay...let me disclose The 60 Minute Rule. The 60 Minute Rule requires that as parents you refrain from speaking to you athlete about her game or games for at least 60 minutes after the game(s). 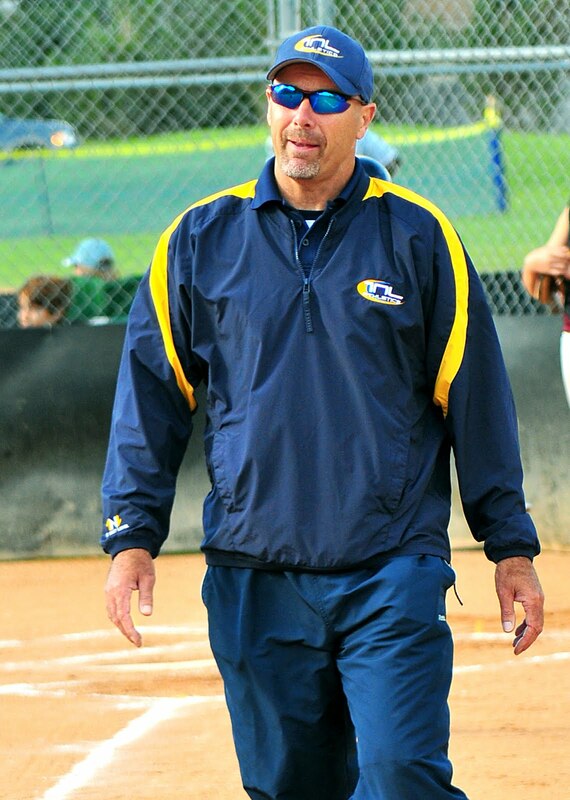 As a softball parent myself I know how much you can't wait to dissect, evaluate, analyze, critique or judge your athlete's performance and that of her team. Some of you reading this are nothing but positive with your athlete and that is great. However more of you are likely coaches, ex-coaches, ex-athletes who may mean well...but still come off as negative to your athlete. In either case I suggest you follow The 60 Minute Rule. 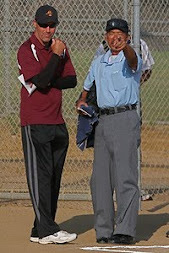 Should you begin to critique (what you call it; she calls it "criticizing") your athlete's performance immediately after the game or on the ride home her mistakes will become magnified in her head and you will force her to focus on those failings (and feelings they bring) versus what she learned in the process that day. Self-confidence is a fleeting thing, so be careful about driving it away with unnecessary comments and judgments. Did you have fun playing? What was your favorite moment of the game(s)? 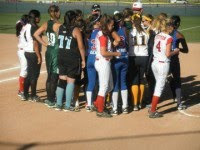 One of the many joys of youth sports is how short a memory kids have about their games. Within hours or certainly by the next day (depending on age and personality) most kids will have entirely forgotten about a good or bad game. As adults maybe we can learn something from our kids, for it is the parents and coaches who carry a tough game with them for hours or days. I know as a coach it is hard to sleep after tough losses, yet my daughter will sleep like a baby...win or lose. Your critique of your athlete's game may take her away from that child like innocence that is natural and healthy for her to experience. Allow her to be a kid playing a game. Remember...sports should be fun first! **As an incentive to be sure you follow The 60 Minute Rule set up a contest or wager with your athlete. I'm betting that she will be absolutely sure that you won't be able to stay quiet for an hour after her games! So make it fun for her and you. I know that I had to pay my daughter several dollars each weekend for my critiques of her game! More importantly have a conversation with your athlete and find out how she really feels about your post game comments to her. You will very likely be surprised by her comments. As long as she knows you mean the best for her and you know how your comments impact her you should be fine. Remember any action you take to criticize her may ultimately cause the opposite reaction of what you desire for her. Young athletes today are acutely aware of their performance and any added pressure from you will trigger the Law of Diminishing Returns. For more great mental game tips please visit my Facebook! Follow John Kelly's daily "Sports Mental Minute" on Facebook . My team played our first tournament of the year last weekend. We held a practice Friday night to get some final swings in the cage and some infield practice. We looked great! Unfortunately we didn't play nearly as well as I had hoped the first day of the tournament. The confidence and precision that was so evident in the field and in the cage a mere 18 hours before vanished once my girls crossed the white lines. I turned to my assistant coach and wondered what happened between Friday night and Saturday morning? 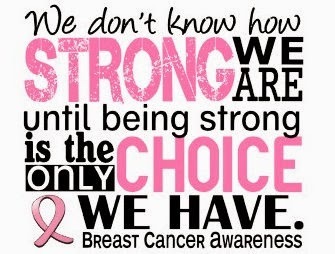 I came to the conclusion that the challenges many of the girls faced were, predictably, between their ears. I knew they could make the plays. I knew they could crush the ball...they just didn't. For any young athlete the pathway to consistent success can be a difficult one for sure. 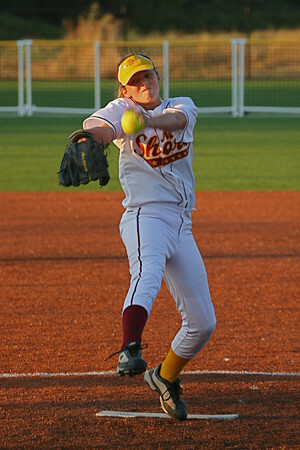 In mastering a game as difficult as fastpitch softball there are sure to be plenty of bumps along the way. 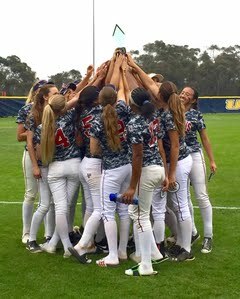 But, I believe, there is a formula, a secret path, to insure that your athlete will achieve consistent success on the field. So here it is: (S = P + E + A + F + A - J). If your athlete can successfully understand, then implement this formula her on the field success will have no boundaries! Preparation - John Wooden said, "Failing to prepare is preparing to fail." Preparation is an ongoing process, both physical and mental, that takes time. How much time does your athlete put into her preparation? Success is the result of massive preparation. Effort - Like preparation effort is a choice. If your athlete is adequately prepared her self-confidence level should allow her to exert maximize effort. The first thing a coach or scout sees when evaluating a player is effort. The question she needs to always ask herself is "can I do more?" Attitude - Exceptional preparation and effort create a dynamic attitude that can propel your athlete through adversity and onto consistent peak performance. A great attitude is also contagious and can turn a good team into a great team! Focus - With preparation, effort and attitude comes the desire for success. A willingness to cultivate laser focus and concentrate on the task at hand is essential to the achievement of sustainable success. Mental focus is also a choice that ultimately separates the good plays from the poor ones and the good players from the great players. Adjustments - The game requires that every player make adjustments in order to be successful. Whether as a hitter, pitcher, fielder or base runner making the necessary adjustments is a conscious choice that requires attention to details. "ABL" - always be learning; it makes the adjustments that much easier to identify and make. 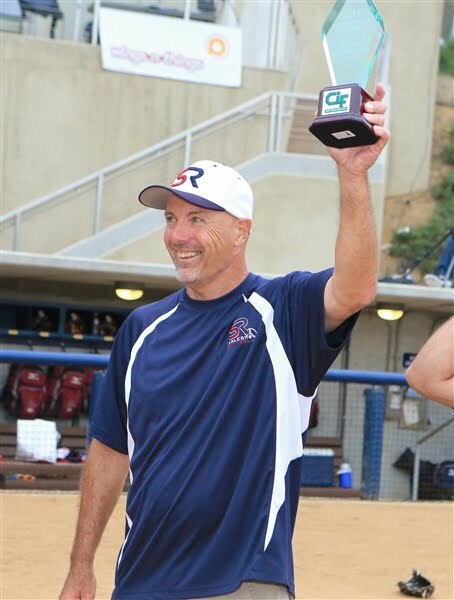 Judgment - This is the one component that needs to be subtracted from your athlete's formula for success. Excessive self-judgment can erase much of the benefits created by the other components found in the success formula. Expecting perfection or not seeing mistakes as a learning opportunity can spiral your athlete's game downward in a hurry. In the absence of judgment self-confidence soars and so too will her performance. Although the single biggest factor towards success is self-confidence I did not include it in the secret formula for success because I believe that self-confidence is a by product of exceptional preparation, superior effort, a great attitude, laser focus and making adjustments. A self-confident athlete is a relaxed athlete; able to perform at a peak level with little anxiety or fear. This formula may look simple but it will require a lot of work for every element of the formula to become habit for your athlete. But the rewards will be well worth the effort I can assure you. If your athlete can truly embrace this formula she will remain head and shoulders above the competition and soar to the top of the recruiting list (provided she also masters the physical side of the game). 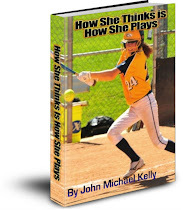 Check out John Kelly's new ebook, Think It and Hit It: 12 Critical Mental Strategies to Improve Hitting. Just $3.97! The 2012 season is here (or will be soon). 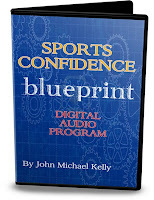 Give your athlete the gift that will make 2012 her best season ever...The Game Changer Program: A Mental Skills Blueprint to Make Her the Best She Can Be. Read more here!